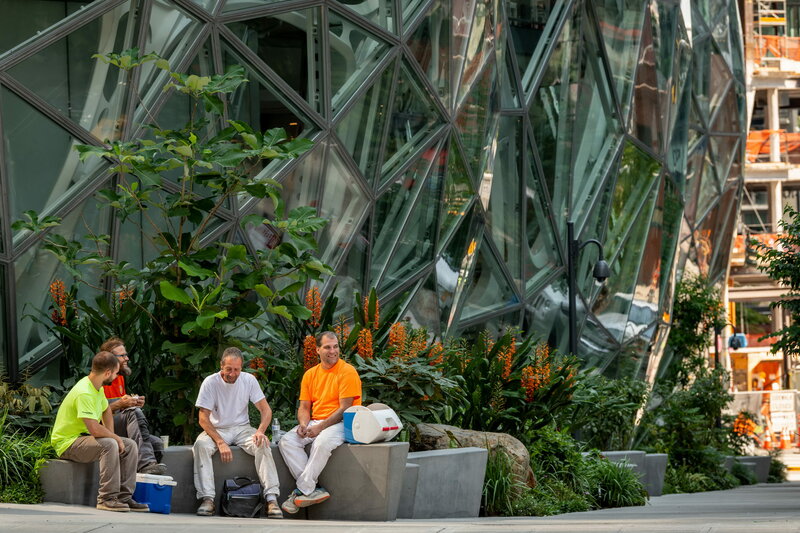 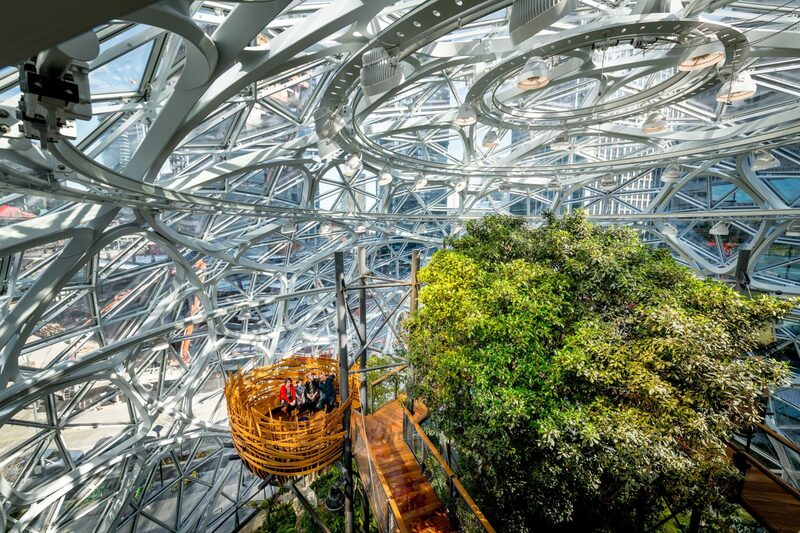 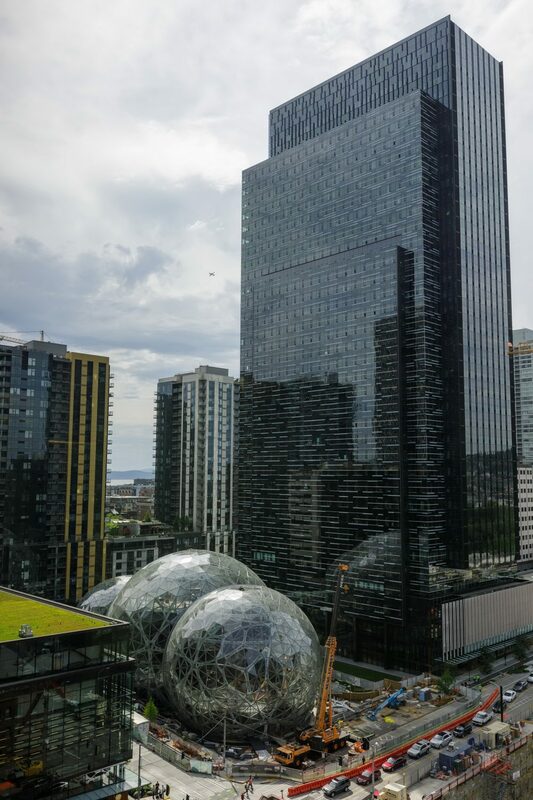 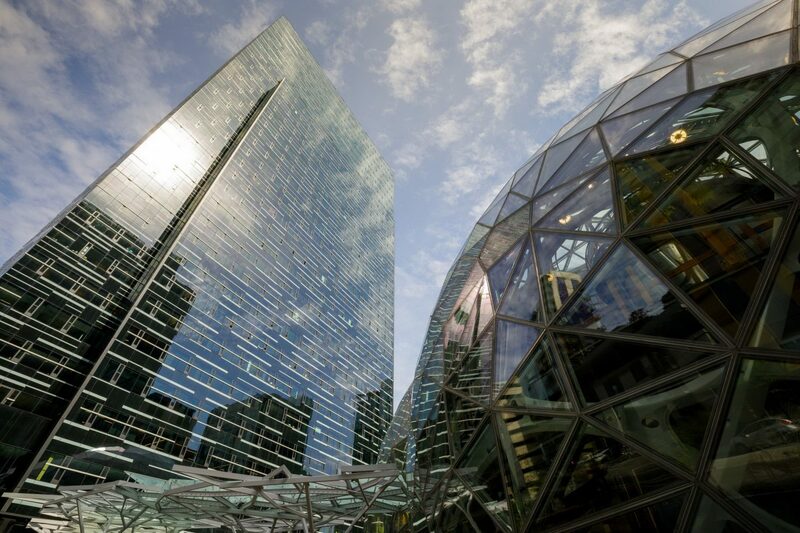 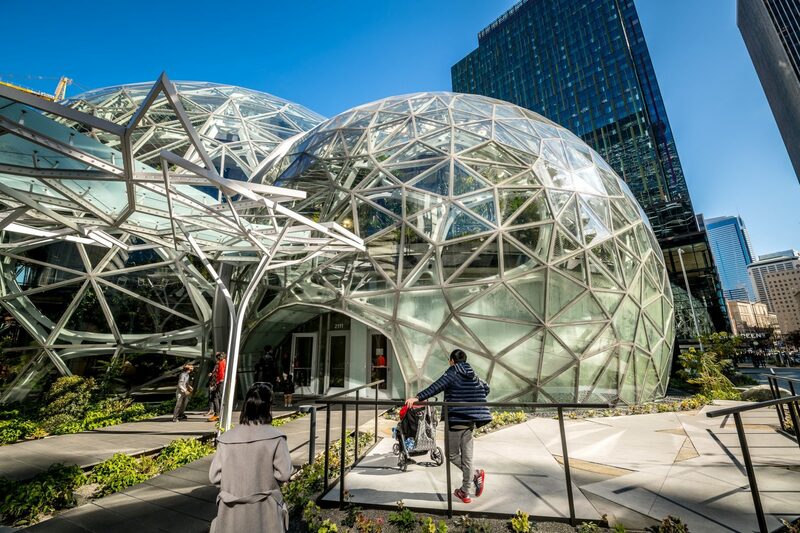 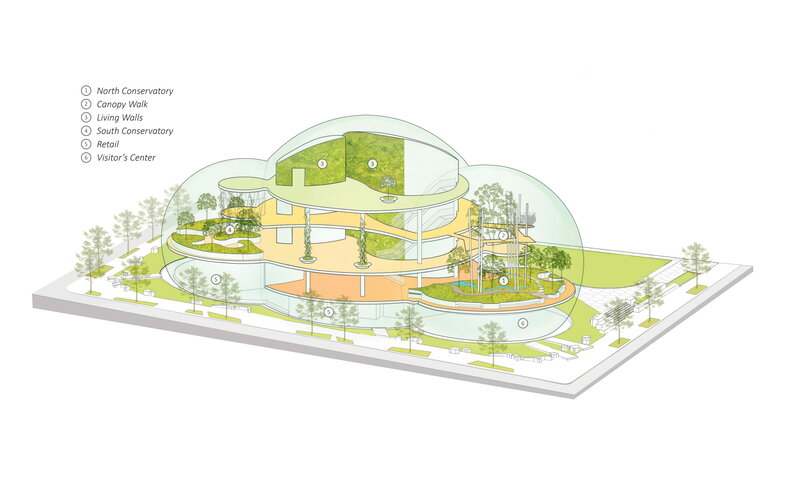 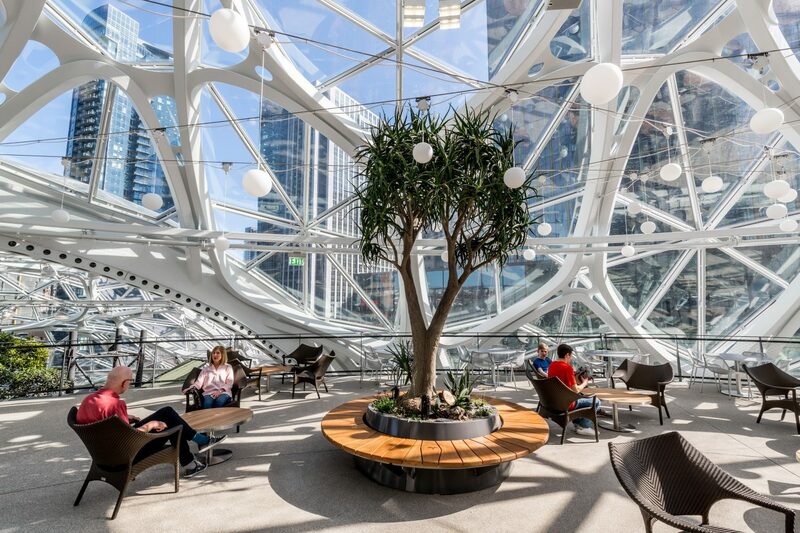 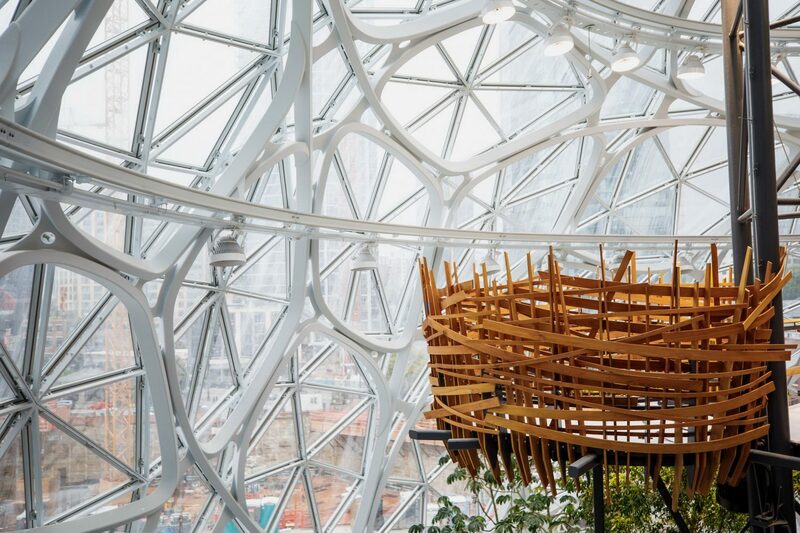 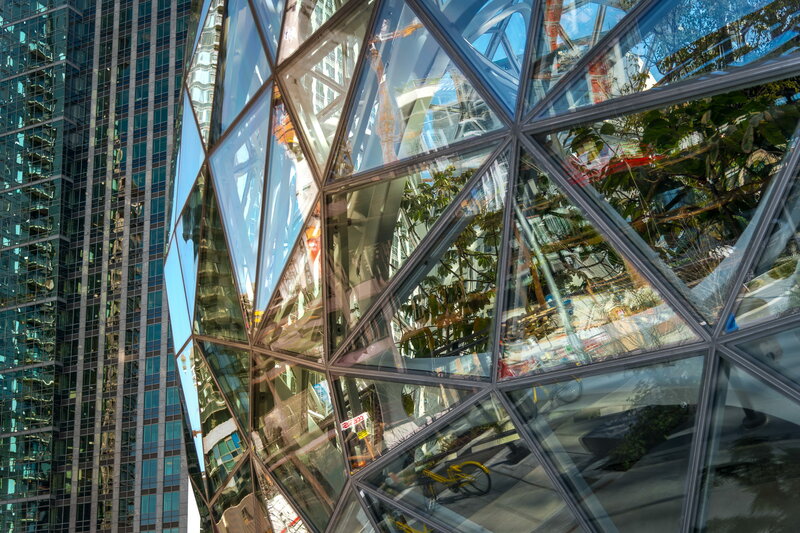 The Spheres are three spherical conservatories that are the centrepiece of the new Amazon headquarters. 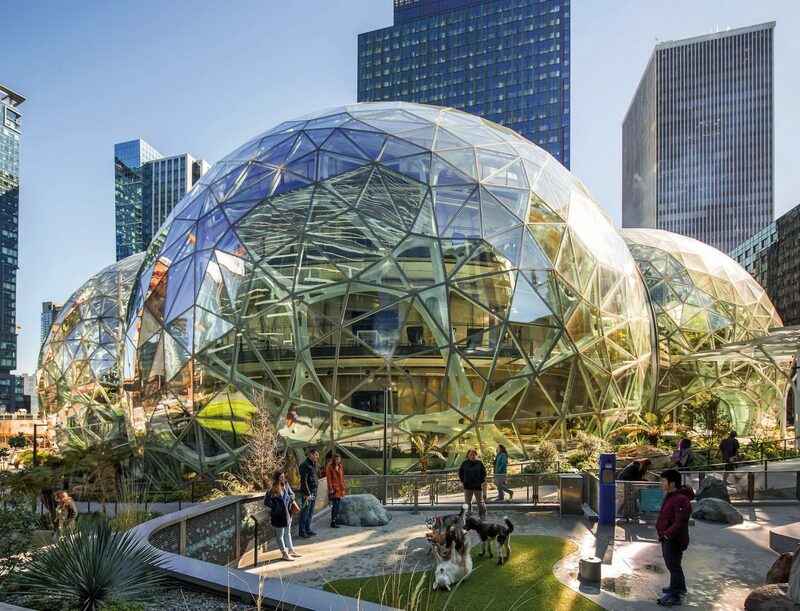 The largest of the “spheres” has approximately 90 feet (27 metres) tall, and 130 feet (40 metres) in diameter. 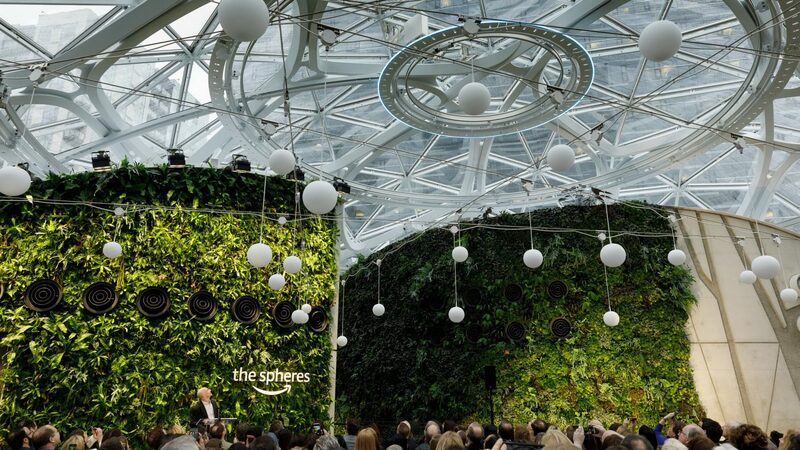 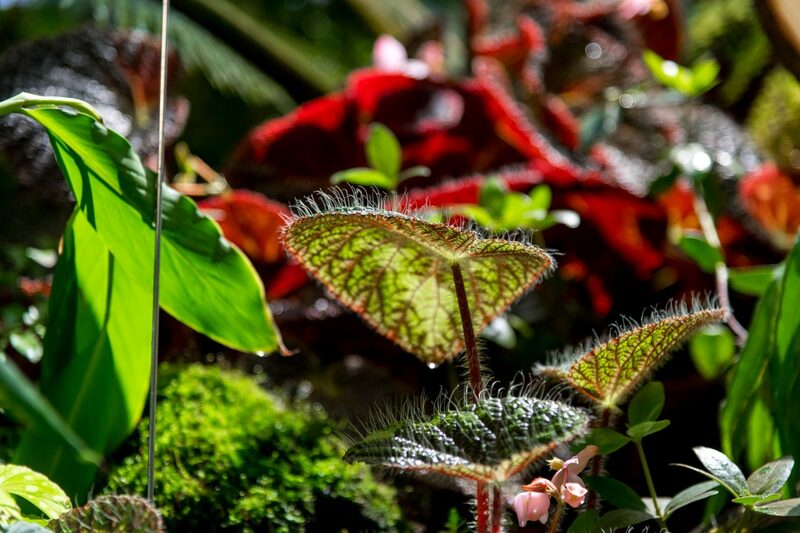 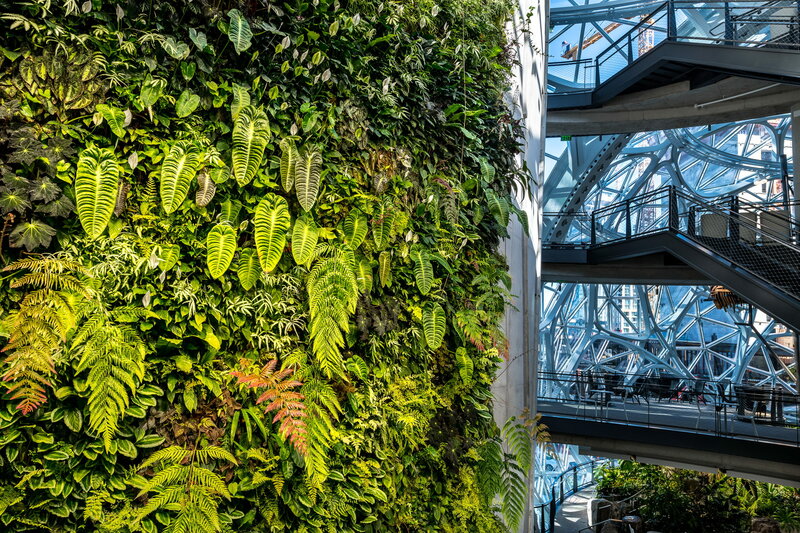 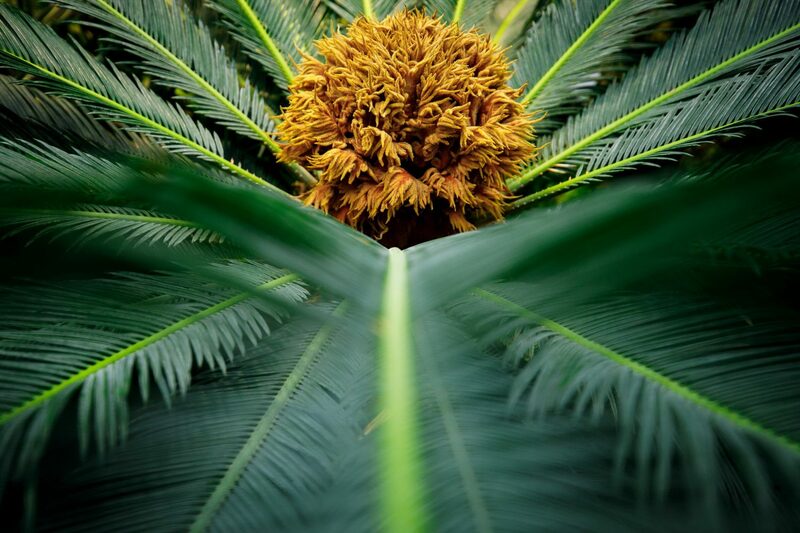 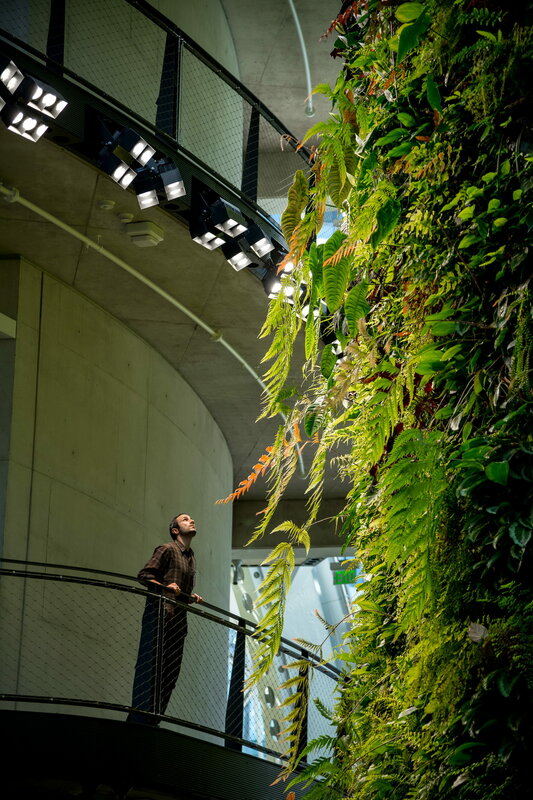 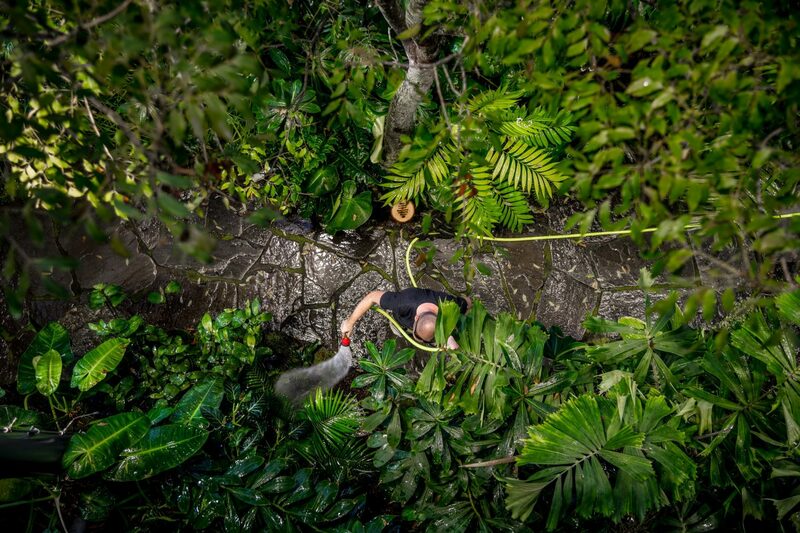 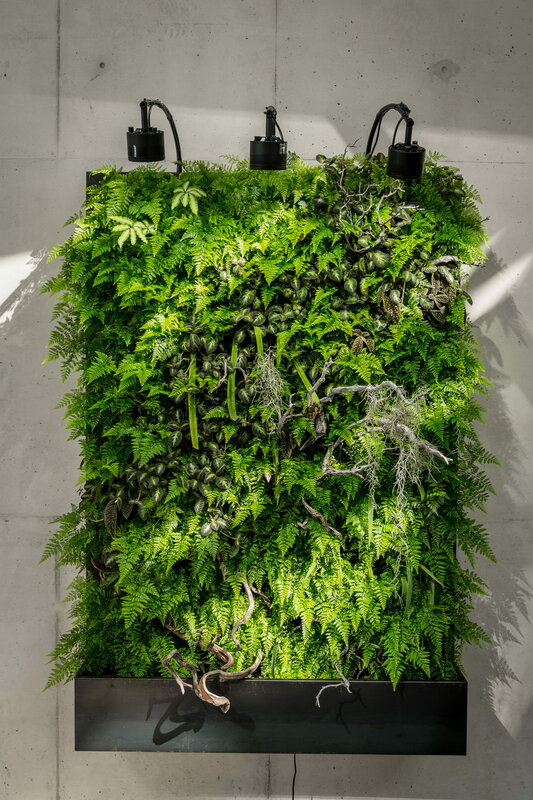 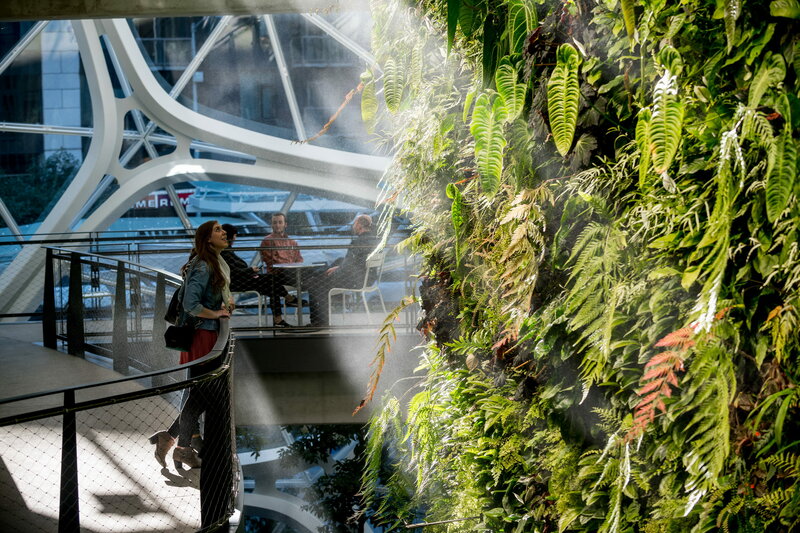 The Amazon Spheres are kept at a temperature of 72°F (22°C) with 60% humidity during the daytime and 55°F (13°C) with humidity of 85% at the nighttime. 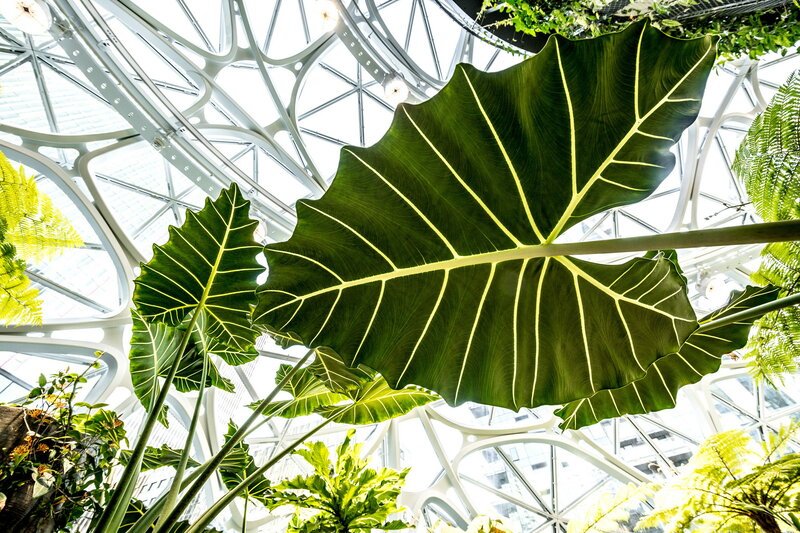 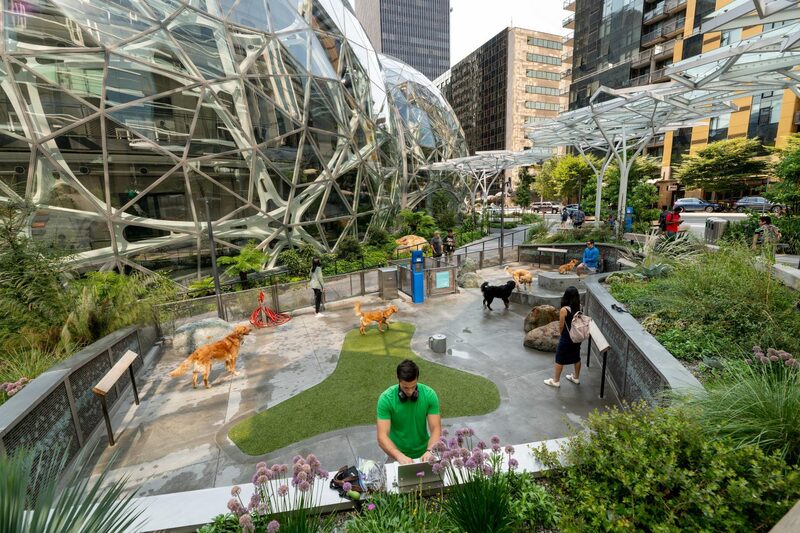 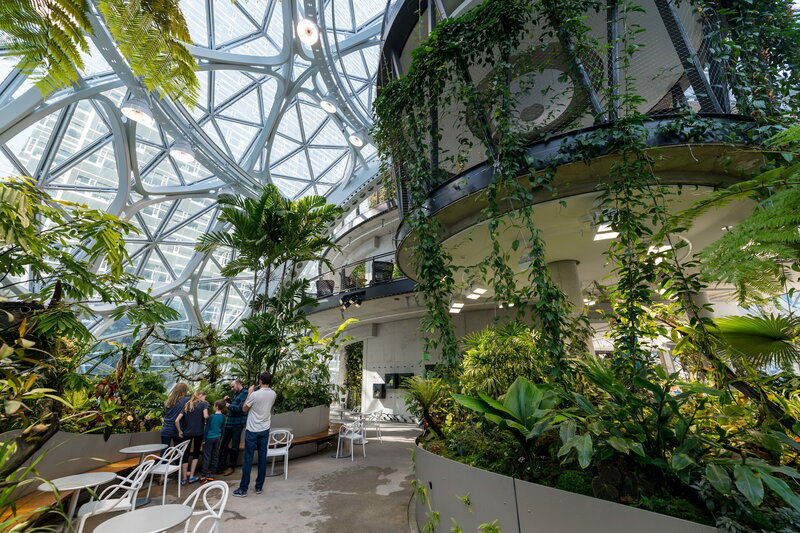 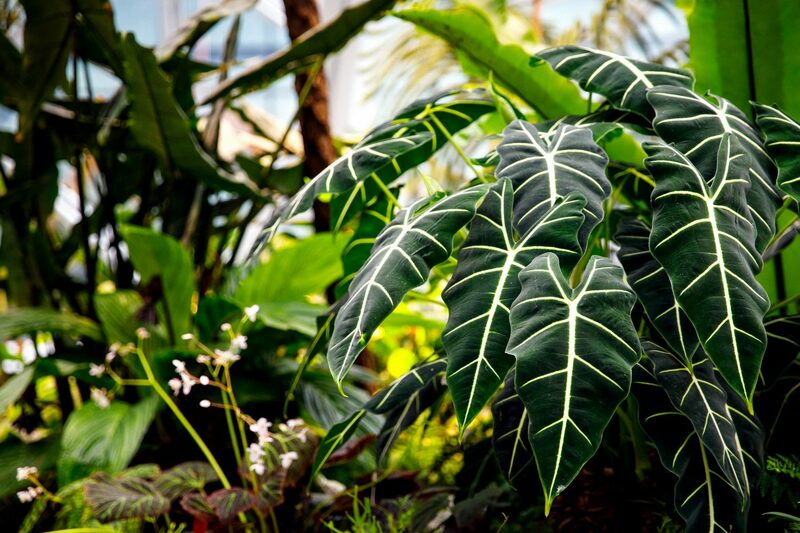 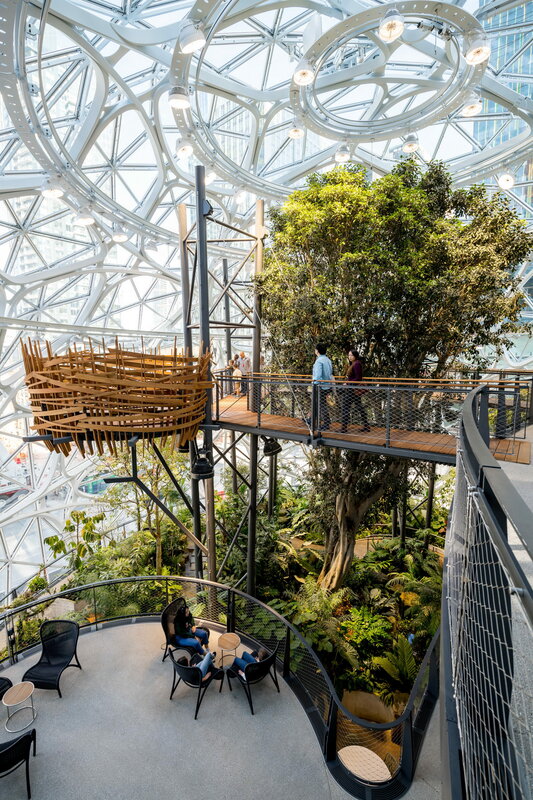 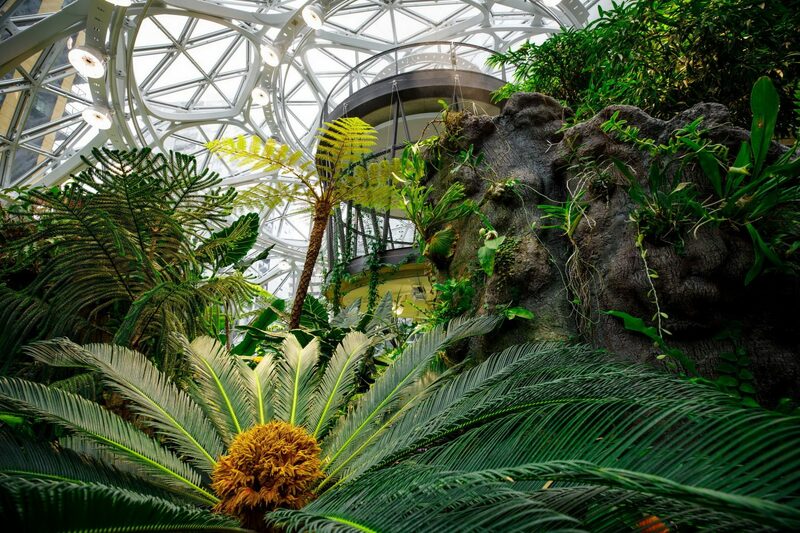 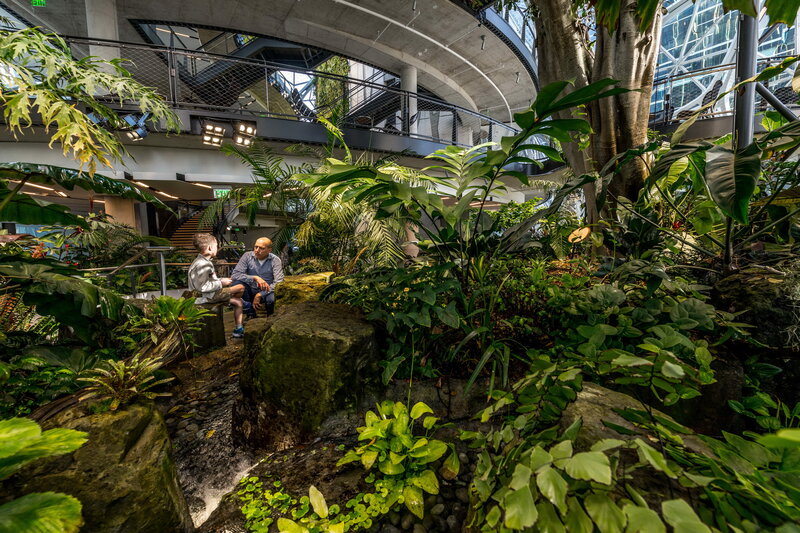 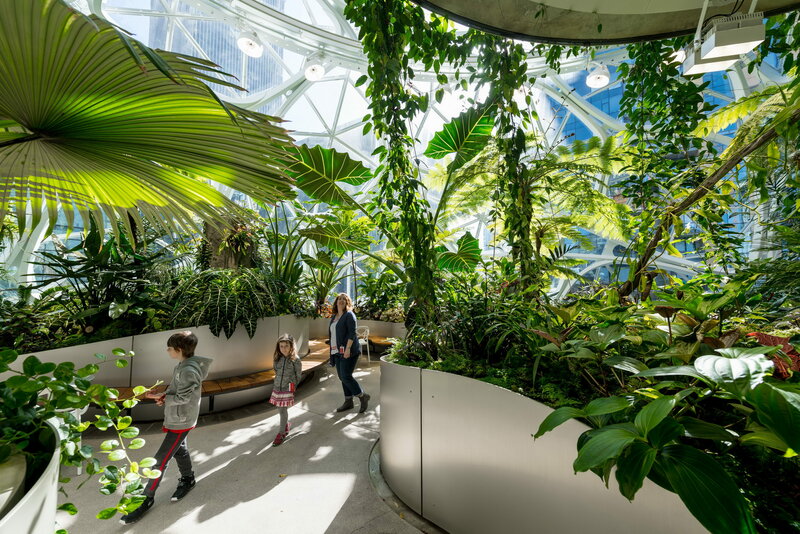 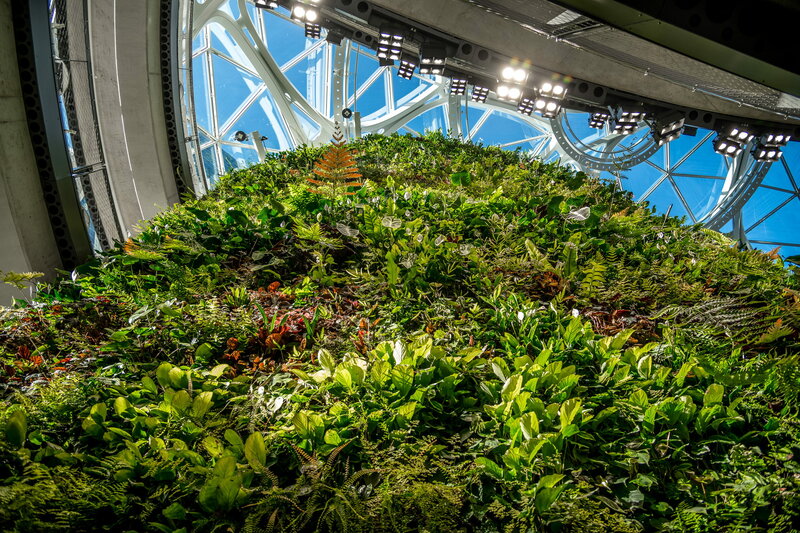 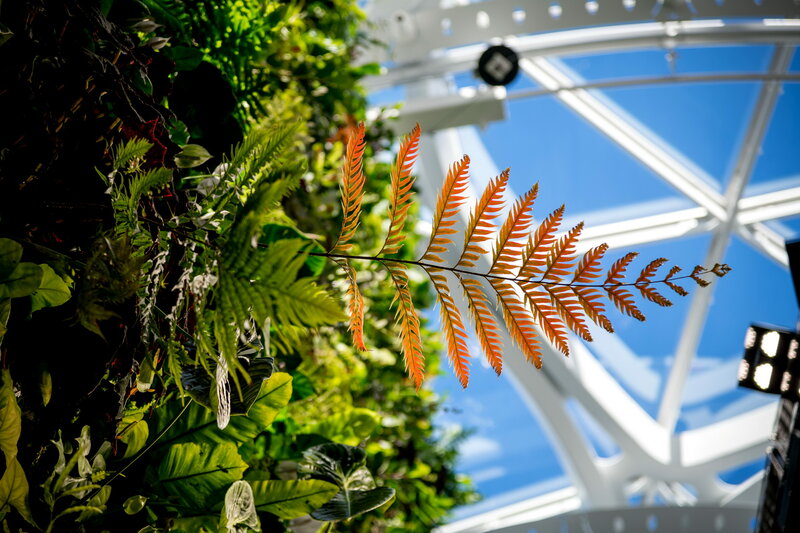 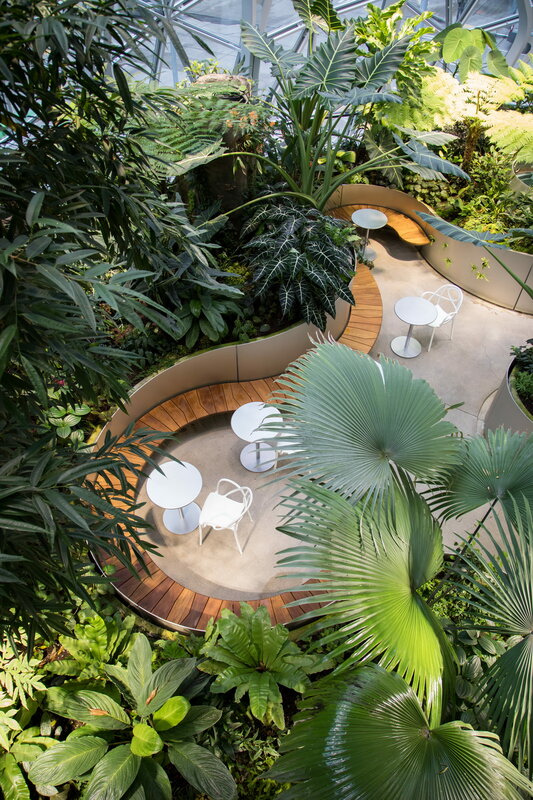 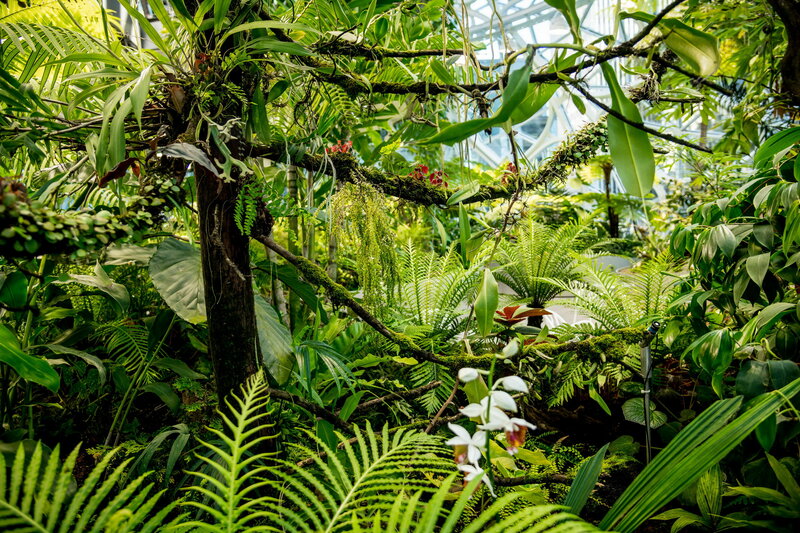 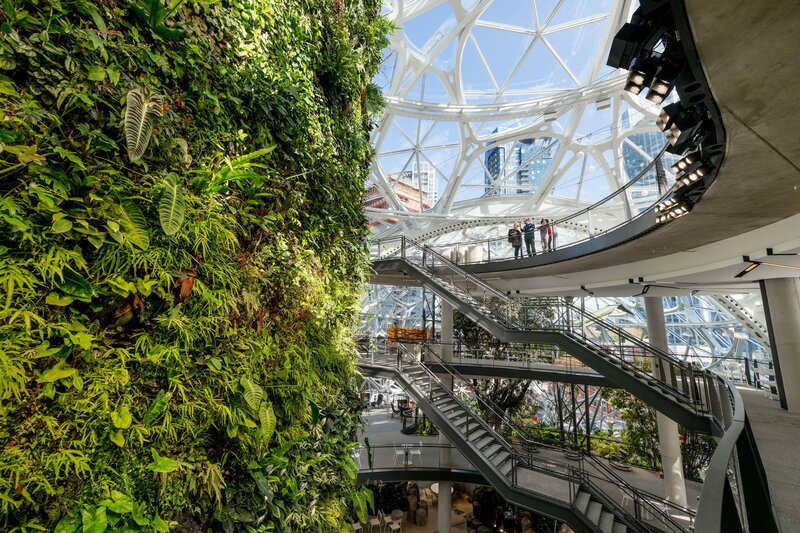 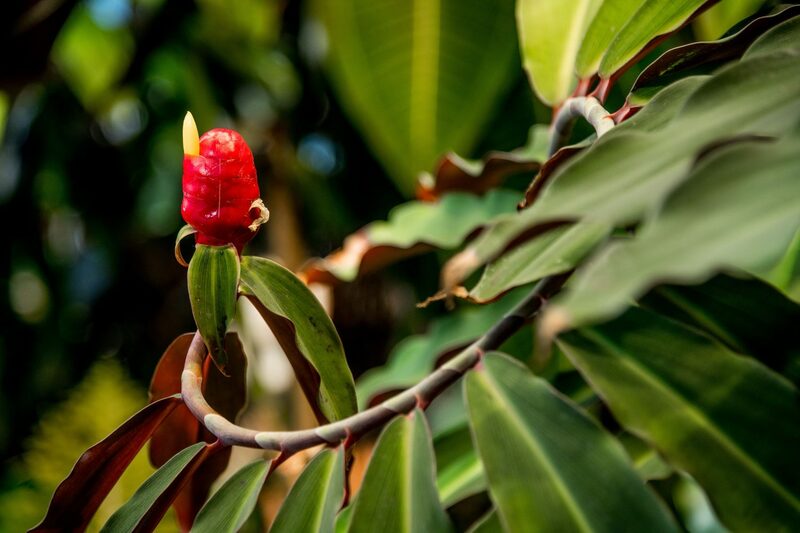 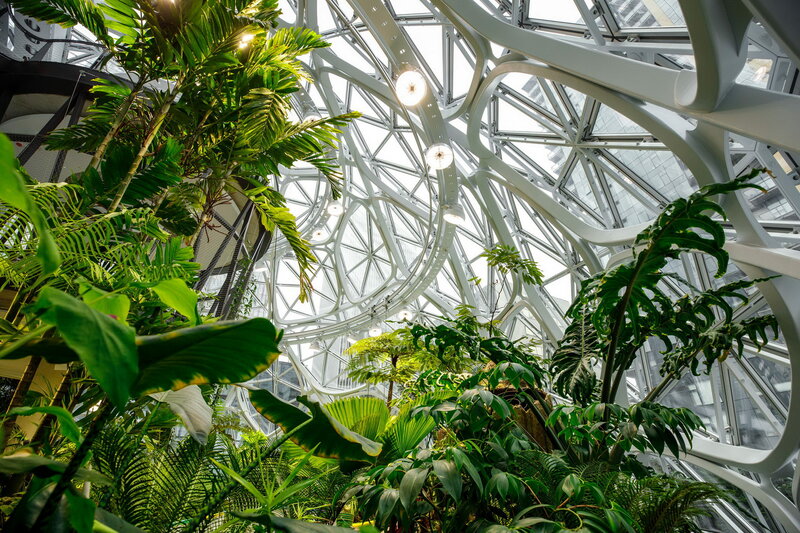 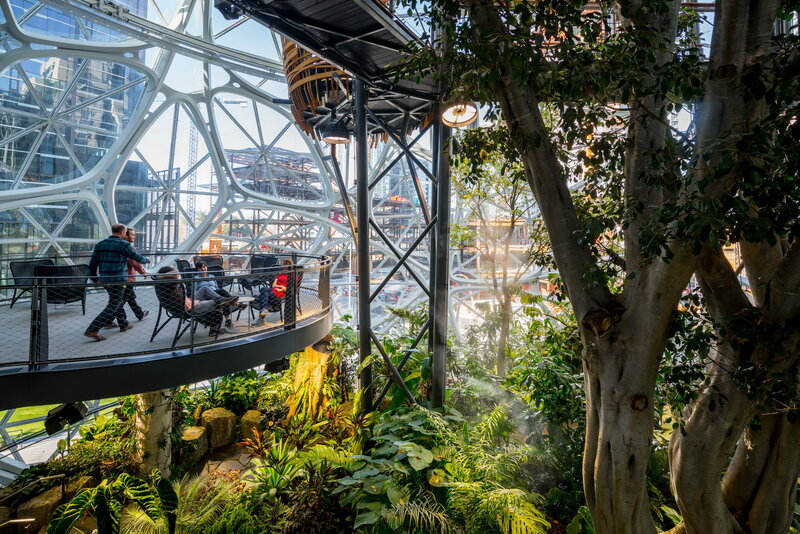 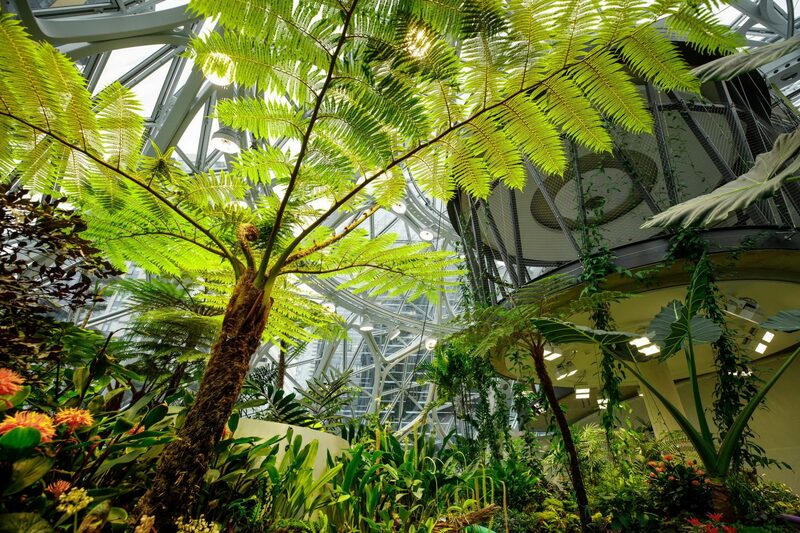 Housing more than 40,000 plants and 700 species from around the world, The Spheres are reserved mainly for Amazon employees but are open to the public during weekly headquarters tours. 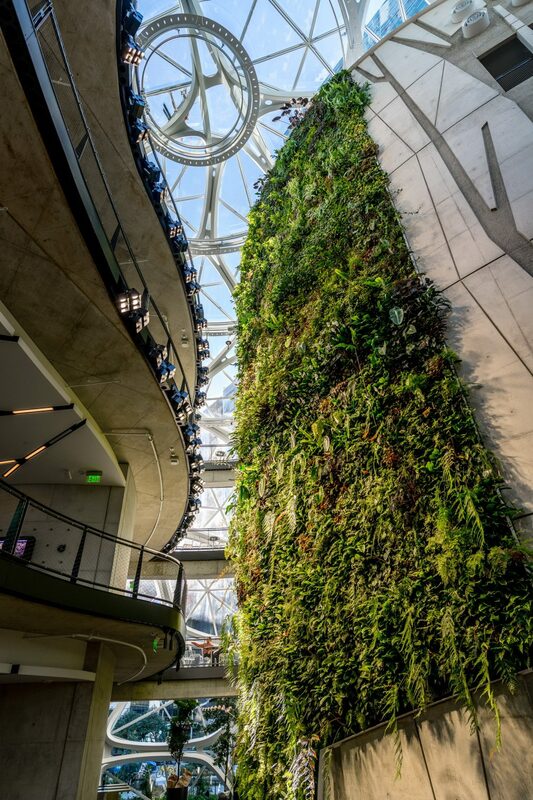 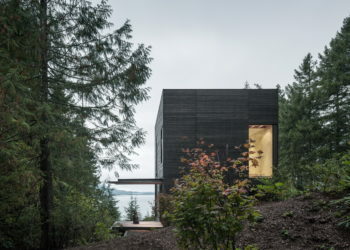 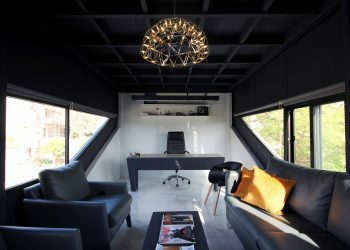 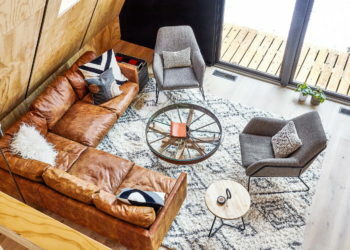 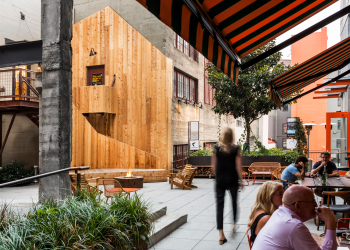 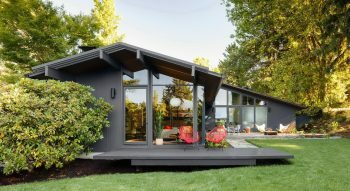 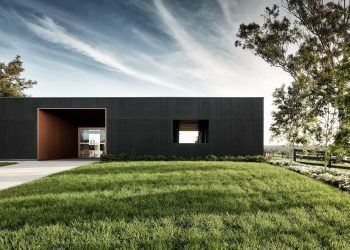 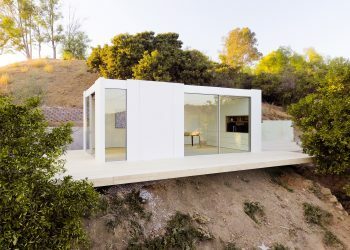 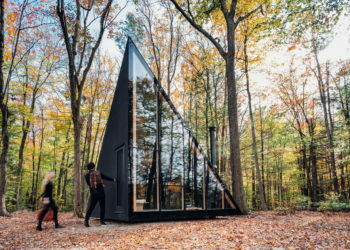 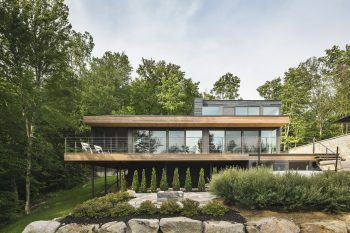 Designed by NBBJ and landscape architecture firm of Site Workshop, the project was officially opened on 29 January 2018 by Amazon founder and CEO, Jeff Bezos.